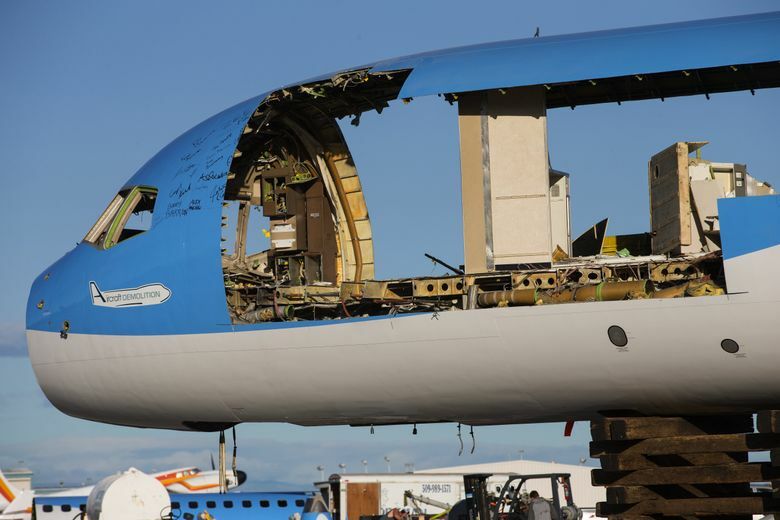 Time-lapse video shows a Boeing 757 being dismantled for recycling after its airline and research life ended. 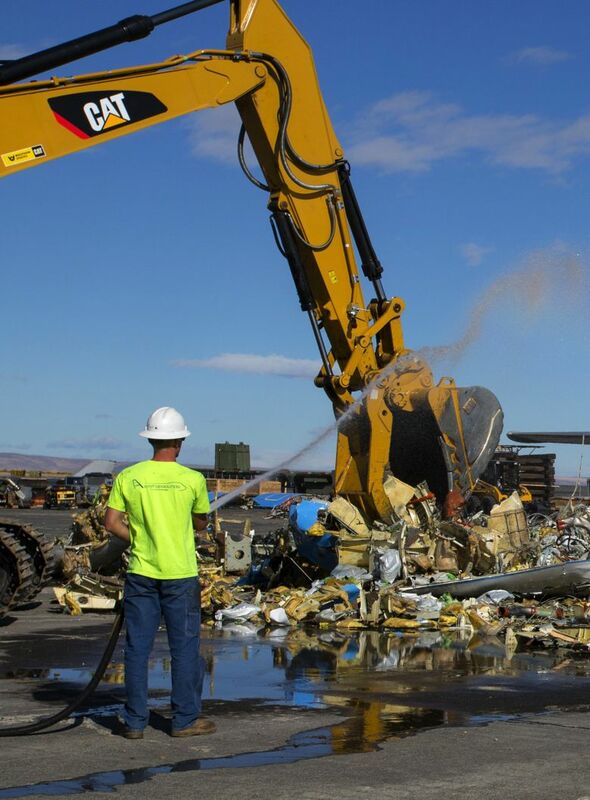 A contractor cut the plane into pieces at a Moses Lake facility. 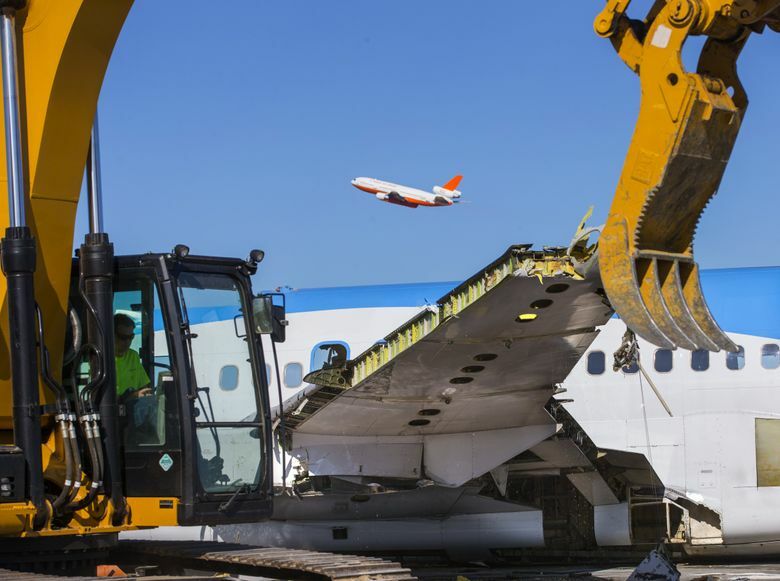 Boeing tore apart a 25-year-old 757 jet airliner this week to demonstrate the joys of recycling. 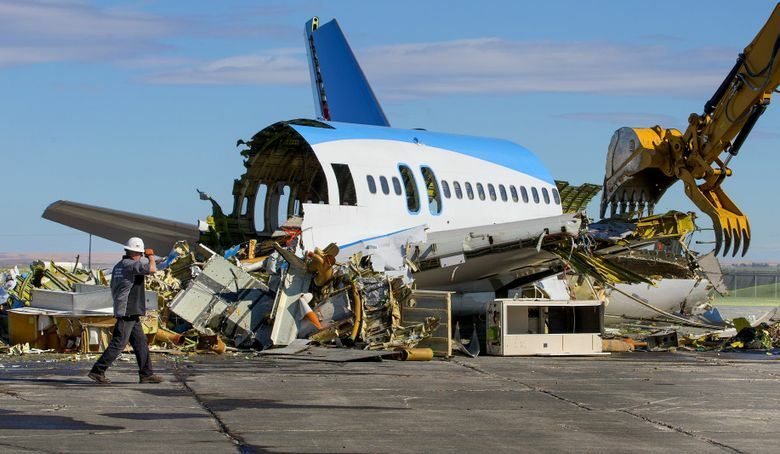 In just over two hours, contractor Aircraft Demolition of Minnesota cut the plane into small pieces at its Moses Lake facility in Eastern Washington. 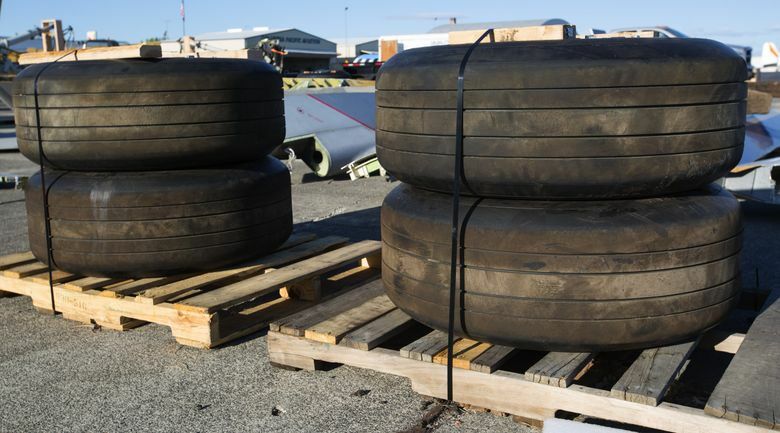 The scrap aluminum will be shipped to Tacoma, where it’ll be shredded by scrap recycler Simon Metals, which sends most of its scrap overseas for reuse. This 757 ended its airline life two years ago with United. 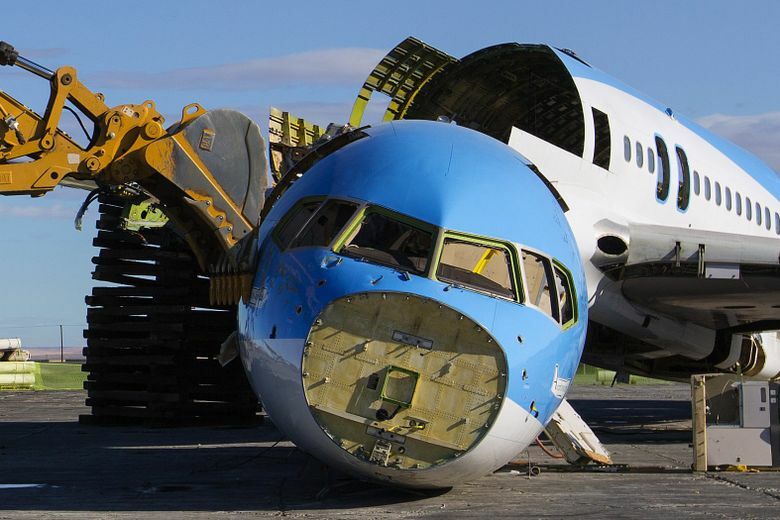 Boeing then leased the plane to perform tests under its so-called EcoDemonstrator program, which researches technologies that can improve the environmental performance of Boeing’s jets. In conjunction with NASA, Boeing tested on this jet an “active flow control” system that blew air across the tail fin to reduce drag. The idea is that a tail made more efficient this way could be made smaller, so the plane would burn less fuel and have lower carbon emissions. Meanwhile, the jet’s wing tested another technology: a variety of bug-phobic coatings to reduce the residue left by insect strikes on the wing’s leading edges. Again, the goal was to reduce drag by allowing a smooth air flow over the wing. Flight tests of those technologies, including flights low over a bug-infested swamp in Louisiana, ended in July. 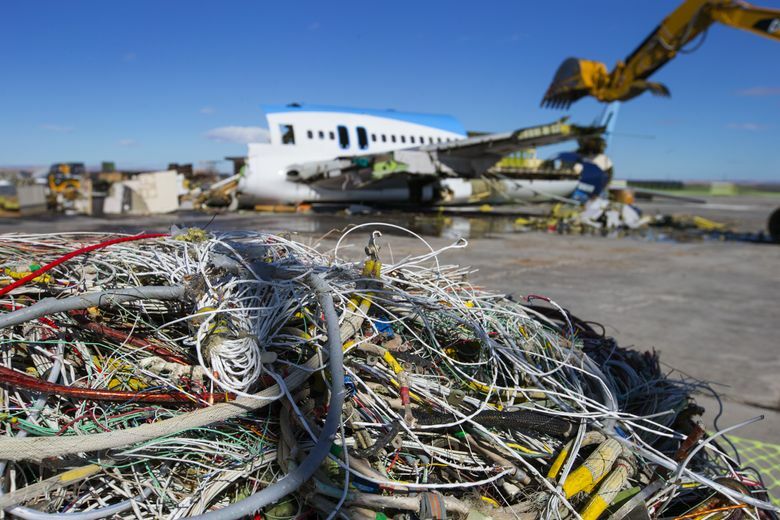 With that, Boeing was ready for the next step: environmentally friendly end-of-life recycling. As in nature, the end was brutal and short.